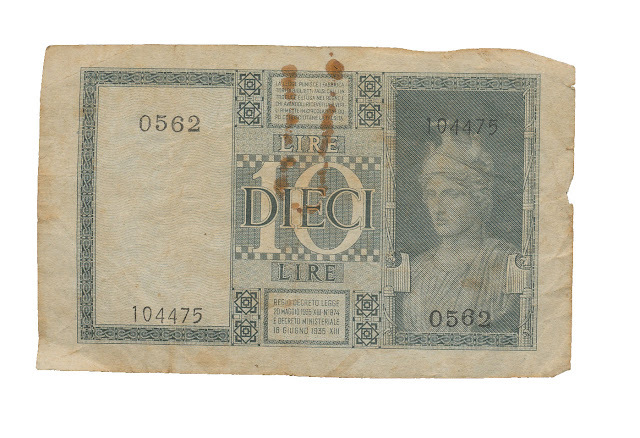 10 Italian lire, dated 1935. 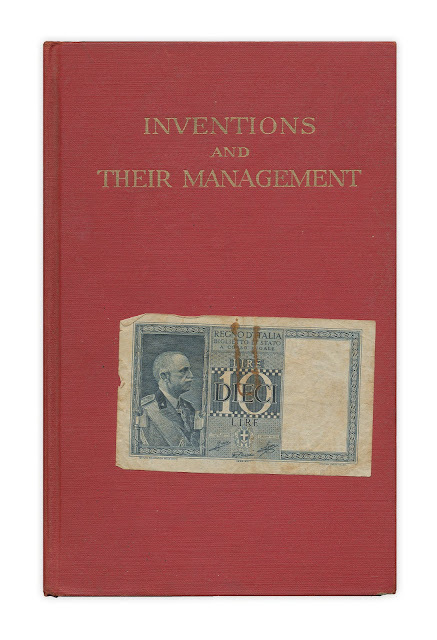 Found in "Inventions and Their Management" by Alf K. Berle and L. Sprague de Camp. Published by the International Textbook Company, 1950. I wonder what 10 lire were worth in 1935. There was a big fall in value after WWI, for starters. In that period, there was a delightful popular song, "Mille lire al mese" ("A Thousand Lire a Month"), a dream salary (and rolls off the tongue, too).